Valletta - A group of 105 would-be illegal immigrants were rescued by a Maltese patrol boat Tuesday, officials said. The immigrants had requested help after their large rubber dinghy developed engine trouble during their journey north towards Italy. An Armed Forces of Malta vessel, taking part in the EU's border agency Frontex patrols, was diverted to the area at once. Valletta, Malta - The carcasses of more than 150 protected birds were discovered in a Maltese woodland on Monday by wildlife protection volunteers. The dead birds were found in the Mizieb woodland in the north of the island, which is managed by the hunting federation. The two-day operation started after volunteers from Birdlife Malta and CABS (Committee Against Bird Slaughter) spotted hunters gunning down protected birds of prey that roosted in the trees on Sunday. Valletta, Malta - Sixty-eight migrants on board a dinghy were rescued by an Armed Forces of Malta patrol boat Tuesday evening and brought ashore, where they were immediately taken to a detention facility. The military had been monitoring the dinghy's movements since Monday, when it was first spotted by a fishing boat, an army spokesman said. Valletta, Malta - Malta's vocal hunting lobby was incensed Thursday after the European Court of Justice decided Malta had breached hunting regulations and would have to discontinue a decades- old traditional bird hunt. For several years, Maltese hunters targeted turtle doves and quails in what was known as the spring hunt, even if the EU's Birds Directive clearly bans hunting during spring. The directive only makes exceptions if a country can prove there is no other season to hunt apart from spring. Valletta - Malta has dismissed as "sensational" reports in a German publication suggesting the island was being used as a tax haven by German multinational companies. While admitting there was a recent surge in German investment in Malta, Finance Minister Tonio Fenech told The Times of Malta on Saturday "this is all above board and according to EU laws." Fenech said: "The double taxation agreement with Germany is there to facilitate taxation between the two countries and promote investment. "We have never had any negative reaction by the German government on this front ... This is just sensationalism." Valletta, Malta - A group of 84 Somali immigrants were rescued off Malta early Wednesday, officials said. The 53 men, 29 women and two children were in distress in inclement weather when they were picked up by a Maltese army patrol boat. They were expected to land on the Mediterranean island later Wednesday. Tuesday from the local UNHCR representative offices in Malta, following a tip-off by a Somali source on the island. Valletta, Malta - A corpse, probably that of an immigrant, was picked from the sea off Malta, the army said on Saturday. The corpse, which had a yellow vest and T-shirt but no life jacket, was first spotted by a fisherman. The fact that the corpse was not severely decomposed was an indication that he may have been part of a group of 80 immigrants who landed in Malta last Wednesday in the same area, the army said. 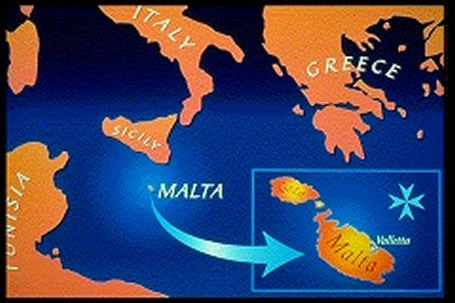 Valletta, Malta - Malta hopes to resettle all immigrants with legal status to other European Union member states through the first EU-wide relocation programme, the government said Friday. Some of these refugees, about 2,000, including families and children, have been stranded on the tiny Mediterranean island for years. During recent meetings in Malta, the government expressed its wish to European Commission officials to resettle all refugees, The Times of Malta reported. 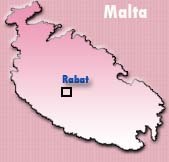 Valletta, Malta - A man died as 80 would-be illegal immigrants landed in two groups in Malta late Wednesday night, officials said. The man died when he fell overboard as his dinghy was approaching the Mediterranean island. The African migrants - 66 men and 14 women - including three who were heavily pregnant - landed in two groups in the Freeport area. The passengers also included a 7-year-old boy. The army said in a statement that it was notified by the police that some 40 immigrants had made it to shore on the rocky coastline and a rubber dinghy had also been spotted in the choppy seas just offshore. Moscow - Sweden, Malta and Finland have been called upon by Russia to help answer questions in the investigation into the hijacking and disappearance this summer of the "Arctic Sea" freighter. Nikolai Makarov, chief of the General Staff of Russia's armed forces, told reporters Wednesday that many questions remain about the whereabouts, activities and cargo of the freighter. Questions include: why did pirates initially approach the ship on July 24, and what was the freighter's cargo, if not wood as listed on its manifest. Valletta, Malta - Malta had "no connection" with the Lockerbie disaster, Deputy Prime Minister Tonio Borg said Sunday, as the world comes to grips with the release of the man charged with planting the bomb at the island's airport in 1988. Speaking to The Sunday Times of Malta, Borg, who is also foreign affairs minister, said: "Malta was not involved in this incident. The bomb never left from Malta." Valletta, Malta - Malta's army chief admitted Saturday his soldiers provided fuel to five Eritrean migrants who were stranded at sea but cast doubts on their claims that 73 people died on board the same dinghy. The army sent a patrol boat to the area to offer assistance but according to army chief Carmel Vassallo the immigrants adamantly refused to be taken to Malta. He told a news conference that the four men and one woman were looking "relatively fresh" and the dinghy appeared to be "good as new." Valletta, Malta/Rome - The sighting of seven bodies floating in Libyan waters by the European Union's border patrol agency this week increased concerns Friday over another possible tragedy at sea involving would-be immigrants. A German helicopter forming part of the EU's Frontex mission, spotted one corpse on Tuesday, and six on Thursday, military officials in Malta said. Valletta, Malta - An inspection for would-be illegal immigrants dashed an Italian yacht's chances of winning a race over the weekend, the Maltese army confirmed Wednesday. The Este 31's hopes of winning the Hammamet-Malta Melita Cup evaporated when it was stopped for at least half-an-hour by a Maltese army patrol boat two nautical miles from the Mediterranean island. Skipper Matteo Miceli told Italian media that soldiers boarded his vessel and asked those on board for their documents. Malta: Movements of hijacked ship "always known"
Valletta, Malta - The hijacked ship Arctic Sea never disappeared and its movements had "always been known" to a maritime security committee, the Malta Maritime Authority said Tuesday afternoon. The investigating authorities of Finland, Malta and Sweden chose not to disclose any sensitive information in order not to jeopardise the lives and safety of the persons on board and the integrity of the ship, the Maltese authority said in a statement. Valletta, Malta - Malta's health authorities reported Tuesday the first death from swine flu on the tiny Mediterranean island-state. The Health Department said the victim, an 82-year-old woman, was part of a group of people classified as vulnerable, since she suffered from chronic heart and respiratory problems. The woman was admitted to hospital on Friday, but died of complications, officials said. Decision to drop Lockerbie appeal smacks of "political deal"
Valletta, Malta - The Lockerbie bomber's request to drop the appeal he fought so hard to gain smacks of a political deal, a legal expert appointed by the United Nations to monitor the trial has told The Sunday Times of Malta. Hans Koechler said oil interests and joint security considerations will prevent the truth of one of the worst terrorist acts of the 20th century from emerging. The man convicted of the 1988 bombing of a Pan Am airliner over Lockerbie, Scotland, is likely to be released from prison on compassionate grounds, British media reported Wednesday. Valletta - Some 115 African refugees were rescued from a sinking boat off the coast of Malta and brought to the capital Valletta, Maltese officials reported Sunday. Valletta - A total of 115 would-be illegal immigrants were being taken to Malta Saturday after being rescued from a sinking dinghy, officials said. The drifting vessel was first reported by a fisherman and three Maltese patrol boats were sent to the scene some 20 miles south of the Mediterranean island. According to initial reports, the group was composed of 81 men and 34 women. They were claiming to be Somali and had left from Libya. Some of those on board were seasick, according to officials. Valletta, Malta - Top Maltese footballer Luke Dimech has been axed from the national squad after he refused to change the colour of his hair, a newspaper reported Tuesday. Dimech, a stocky defender for the Valetta club, turned up for training on Saturday sporting a Mohican-hairstyle, dyed red, according to the Times of Malta. Clearly not impressed with the 32-year-old player's new look, Malta's freshly appointed national team coach, John Buttigieg, asked Dimech to remove the dye before the team's next training session.